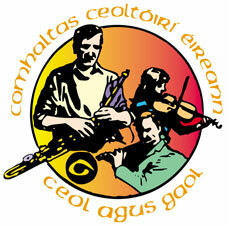 Murphy's Barn is the venue for the Wexford Comhaltas Seisiún Mór an tSamhraidh on Bank Holiday Monday, August 1 (4-7pm). Agus beidh fáilte mór roimh cairde gCraobh Loch gCarman. There will be live trad music sessions, workshops, singing, sean nós dancing. To feed the inner man there will be team of chefs cooking up best Wexford beef burgers (if you want a veggie burger bring your own supply!). We will have tea, coffee, water and soft drinks. If you wish to drink something stronger byob! Murphy's Barn is a few miles out from Wexford Town on the Duncannon Line.From Wexford, drive passed Kates Farm Shop, pass the Mountain Bar, Murphy's Barn is on the left (you will see a sign). Address: Skeeter Park, Cleariestown. Details: Tel 087 2481415. Nominal charge towards expenses.